How Do You Create a Winning Brand Articulation? This was a comprehensive brand assessment and brand positioning program. We conducted a range of primary and secondary research tasks, including extensive engagement with the core stakeholder groups for information gathering and participation purposes. As with any such assignment, gaining clarity on the mission, aspirations, capabilities and limitations of the organization and understanding the speciﬁc dynamics within it are critical contributors to success. The distinctive aspect of our study was that we structured all facets of this assignment into a policy school landscape picture, using our “means-end framework” (the centerpiece of Motivation Research) and policy school language to help characterize the common themes and help us think about differentiation. 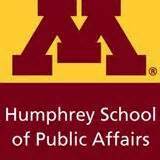 In the process we evaluated how 18 competitor schools answered the question “Why do I want to attend/be engaged with this school?” The Humphrey School of Public Affairs has adapted its communications based on the strategic guidance from this program.